Prominent & Leading Manufacturer from Indore, we offer liquid tight flexible conduit & connector, liquid tight flexible conduit, liquid tight steel flexible conduit, black liquid tight flexible conduit, liquid tight black flexible conduit and ul type liquid tight flexible conduit (ltfc). 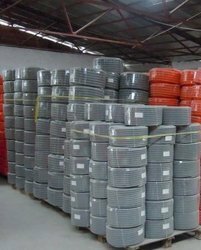 Our company makes available a range of Liquid Tight Flexible Conduit & Connector, made up of the flexible conduit (SS/GI material). This Liquid Tight Flexible Conduit is covered by water proof plastic coating with plain upper surface for safety & prevention of the transfer of the energy. 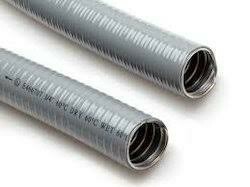 Our company offers Liquid Tight Flexible Conduit at highly affordable prices, in bulk quantities as well. We are instrumental in providing our clients a comprehensive range of Liquid Tight Flexible Conduit. The offered conduit is designed under the vigilance of our adroit professionals using optimum quality raw material and modern technology. Our provided conduit is designed to protect wires and cable from water. Moreover, offered conduit can be availed in different designs and specifications, as per the diversified requirements of our esteemed clients. 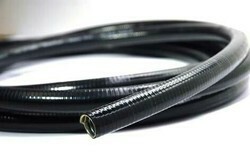 Liquid Tight Flexible Conduit. The offered conduit is designed under the vigilance of our adroit professionals using optimum quality raw material and modern technology. Owing to the presence of our expert engineers, we have been able to offer a wide range of PVC Liquid Tight & Braided Flexible Conduits. These pipes are manufactured using top grade material and cutting-edge technology in accordance with set parameters and standards. 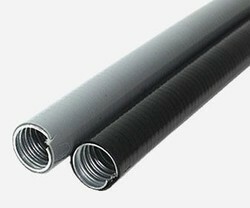 Liquid Light flexible conduit made up of the flexible conduit (SS/GI material)covered by water proof plastic coating with plain upper surface for safety & prevention of the transfer of the energy. Looking for Liquid Tight Flexible Conduit ?